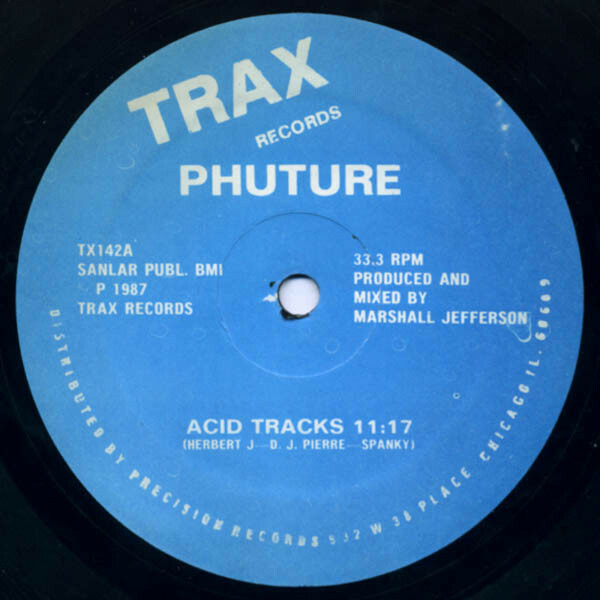 The original title for the song 'Acid Tracks' was 'In Your Mind'. DJ Pierre had given a tape of the track to Ron Hardy to play at the Muzic Box in Chicago it then appeared on a tape Hardy had labelled 'Acid Tracks'. So this name stuck and Phuture decided to issue it under this title. According to DJ Pierre the 'acid' in the title of the tape was a reference to LSD as this was a popular drug at the club. It was not a reference to the sound of the Roland 303.